The American Defense Network was founded by William Gheen who has served as the President of Americans for Legal Immigration PAC (ALIPAC) since 2004. The Treasurer of ADnet is local activist Rosanne Sinatra and Ron Woodard, the chairman of NC Listen, serves as a board member. 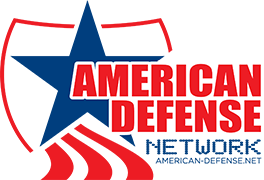 The American Defense Network (ADnet) was founded on July 4, 2017, to educate and raise awareness of important issues that affect the safety, security, prosperity, happiness, and freedoms Americans value. ADnet believes that the protection of the United States from enemies and problems, both foreign and domestic, is dependent upon the engagement of individual American citizens working together and taking actions based on accurate information. "Launching the American Defense Network is something I've been working to achieve behind the scenes for many years," said William Gheen, Director of ADnet. "I hope this new organization will succeed in helping Americans who care deeply about our nation, pursue successful remedies to a wide range of problems that are having a detrimental impact on the lives of US citizens." The ADnet mission is to inform and organize like-minded Americans who believe that America's true defensive power originates from accurately informed citizens willing to engage on issues like legal and illegal immigration, government corruption, foreign influences and global corporation influences on lawmakers and policies, disinformation campaigns spread by biased media corporations, American health issues, domestic and foreign terrorism groups and threats, and much more! ADnet is currently seeking activists, donors, supporters, and advisory board members to help build a new influential national organization dedicated to improving the security and self-governance of American citizens.